Greetings; my name is Dr. Peder N. Piering, and my passion lies in working with athletes, coaches, parents, and anyone who wants to enhance their experience through sport and fitness. My experiences range from working with professional athletes and elite athletes on the international and Olympic level, to those with recreational interest. Excellence in sport demands as much discipline and training of the mind as it does of the body. Every sport has a mental aspect to it, and mental aspects of each sport become more important as you climb the competitive ladder. In fact, on the elite competitive level, those who excel are those who are strongest mentally. With over 70 years of research behind it, the science of sport psychology can help you understand and improve your mental game. 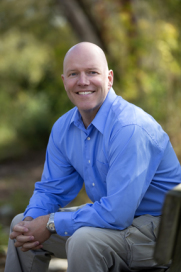 I can provide you with the mental strategies necessary to gain the competitive edge. 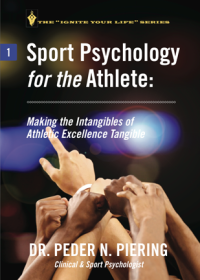 With this knowledge rooted in the “psychology of excellence”, I can help athletes create and maintain an ideal psychological profile that will help unleash their physical abilities, and promote peak performance. I can help coaches and trainers develop superior leadership skills necessary for a more positive influence, and a greater impact on their players and teams. I can also assist parents in providing their children with an environment in which they can thrive. I welcome anyone looking to use physical activity as a means toward personal growth and overall well-being. In addition to over 10 years of formal education and over 10 years working as a sport psychologist, I have also had a lifetime of involvement in athletics. In high school I was a varsity letter winner in three sports, and among other things, my accomplishments included all-conference and all-state honors. At the University of Wisconsin I was a member of the UW Men’s Soccer Team for three seasons, and the UW Rugby Squad for one season. Today, I enjoy finding new ways to challenge myself. I have completed three marathons and I am now pursuing my black belt in Tae Kwon Do. I am also a licensed private pilot, but as a proud husband and father of three active children, they keep me grounded both literally and figuratively. While I have celebrated many victories, I have also suffered defeats. These experiences have given me an in depth understanding into the pressures of competition and the difficulties of living a balanced life while trying to excel on the field. I know of the potential personal conflicts that can arise when trying to follow your coach’s game plan or trying to lead your teammates to victory. I know of the pain involved in serious injuries, the frustrations of long hours in rehabilitation, and the self-doubt and fear that follows. I know what it means to be an athlete, and I consider it a great privilege to learn more from the experiences and insights of those with whom I work.